You are going to Watch Naruto Shippuden Episode 271 English subbed online free episodes with HQ / high quality. 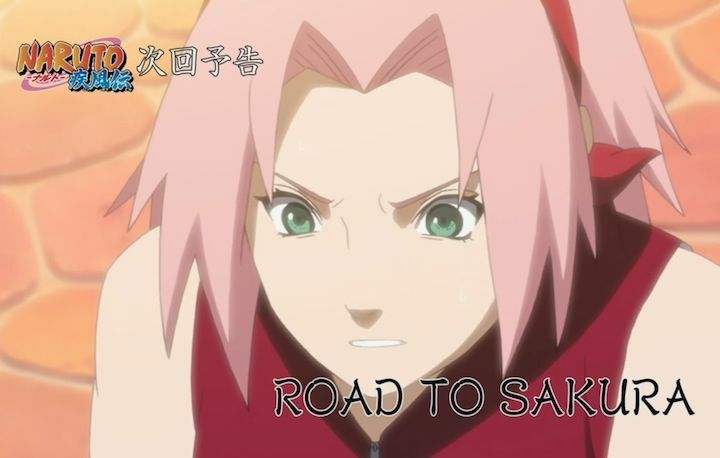 Stream Anime Naruto Shippuden Episode 271 Online English sub Road to Sakura. As Ino strolls through the outlying forest of the village, she looks up and sees Sakura falling through the sky. Ino brings Sakura back to Konoha and has Tsunade check on her, who determines she has developed amnesia. As they go through the village, and encounter the other members of the Konoha 11, Sakura notes that they look vaguely familiar but not as how she remembered them. Later when Sakura realises that she had lost a necklace of a cherry blossom she had around her neck, she and Ino begin searching frantically for it. Her parents, Kizashi and Mebuki end up finding a dazed Sakura and her father returns the necklace to her. Remembering parts of her past, Sakura runs to embrace her parents, crying. Though this puzzles her parents greatly, they depart telling her to come home later. Sakura ends up telling Ino that it was likely that she was not the Sakura she knew before disappearing again in a bright light, leaving Ino severely confused. 4 / 5 - 8 ratings.